As a receptive tour operator, we have 3 wills : – we want you to enjoy your trip in Madagascar, – we want you to be attracted by Madagascar before even coming and – we want you to make the most of your time and your money. Therefore, let’s unwrap up your 12 days tour from Antananarivo to Nosy Be together! Welcome! 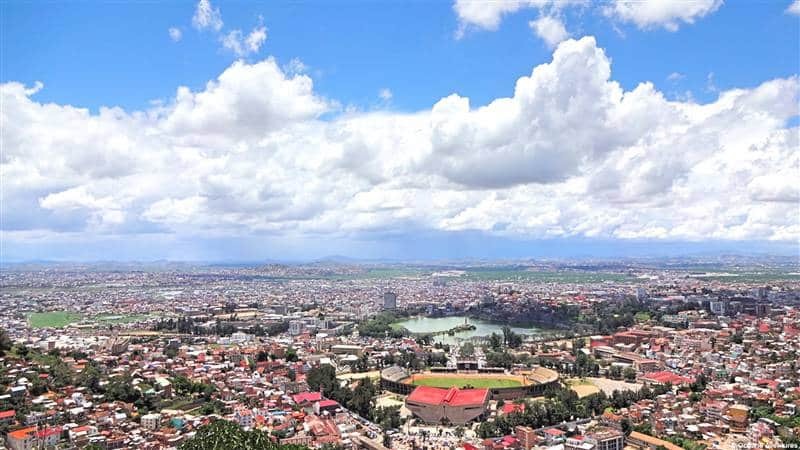 You are now in Antananarivo, the capital city of Madagascar! How was your international flight? We hope you enjoyed it. Everything is ready for you to rest: a great meal for dinner and a comfortable bed in the hotel where you will stay overnight. We are here to drive you to your nice accommodation. Yay, are you ready? Bring your joy and your thirst for adventure: this morning, we will depart for Tsarasaotra Lake which is located in the city of Antananarivo itself. Please note that Tsarasaotra is closed to visitors during the week-end. After our first visit, we will hit the road again to go to Andasibe National Park (Perinet) through the highlands! Enjoy the journey (144km/ 3 to 4 hours): contemplate the stunning scenery, take pictures and relax. We will arrive in Andasibe in the afternoon for lunch, which will be at your expense. Why not try Malagasy dish to get into the mood of the country you visit? Tonight dinner will be served at your hotel, and a room will be prepared for you to rest. But still, we’ve prepared something special for you! We will end our day with a night tour to encounter some nocturnal lemur and chameleon species! Prepare yourself to be wowed by the Mouse Lemur, Hairy-eared Dwarf Lemur, and the eastern Woolly lemur. So, what is in store for you today? Well, we will have a transfer by car to Mantadia National Park. And then, spend our whole morning in the park before getting back to the hotel in the mid-afternoon! The Mantadia National Park is part of the Andasibe complex. Of course, it is a protected area. It is large and dense, a breathtaking green place. 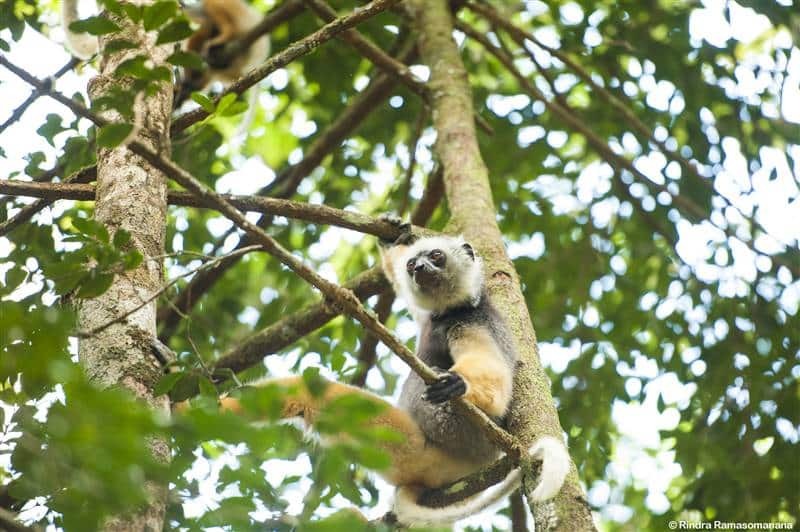 Once there you will encounter the finest specimens of lemurs, which are the Diademed Sifaka and the Ruffed Lemur! Wow, for sure, you’ll marvel at them when you’ll spot these two. We will also find 4 species of rare Roller Madagascar. We’ll be back at the hotel before dinner. Your room is waiting for you there. Blue Coua, Red-fronted Coua, Blue Pigeon, Nuthatch Vanga, Sclay Ground Roller, Short legged ground roller, long tailed ground roller, Tylas Vanga l, Nelicourvi Weawer. Did you wake up early to watch the sun rise? Surrounded by so much greenery, it is such a unique moment. How about wandering in the Indri-Indri special reserve today? 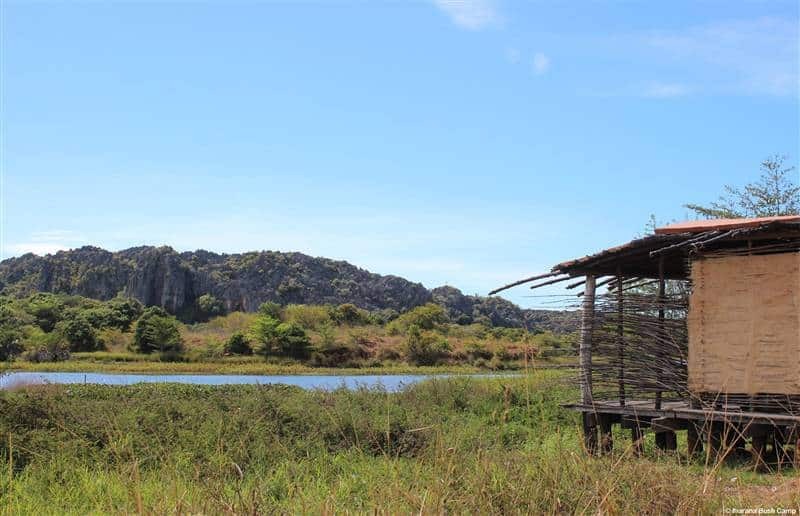 Covering an area of 810 ha, this special reserve is managed by Madagascar National Park. 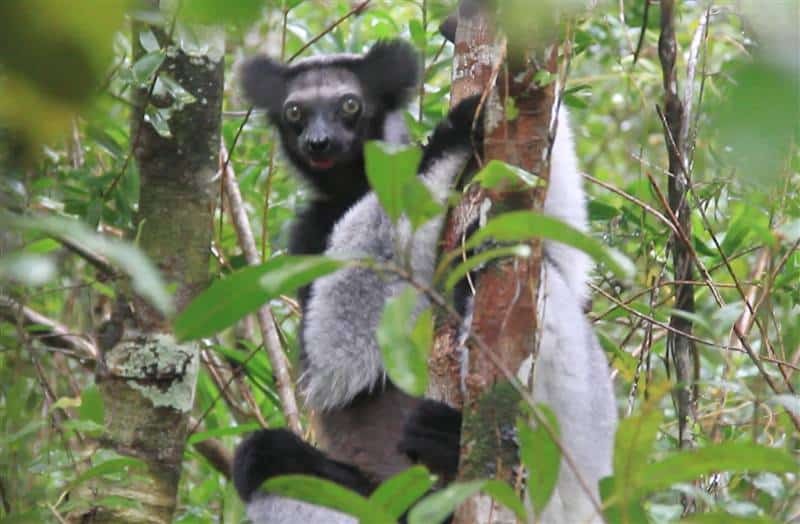 And it is one of the highlights of this tour because it is “home” for the largest lemur in Madagascar, the Indri Indri. One of the funniest facts about this lemur species is that it is how it communicates. It is a singing lemur. We will also meet other species of lemurs, several species of birds, chameleons and frogs. The flora covers valuable timber species, numerous medicinal plants, lots of orchid and fern. Yay! We will have dinner at the hotel today. But what about another night tour to discover more lemurs and chameleons before going to bed? Wake up little bird! Early in the morning, we’ll go to the Torotorofotsy marsh. 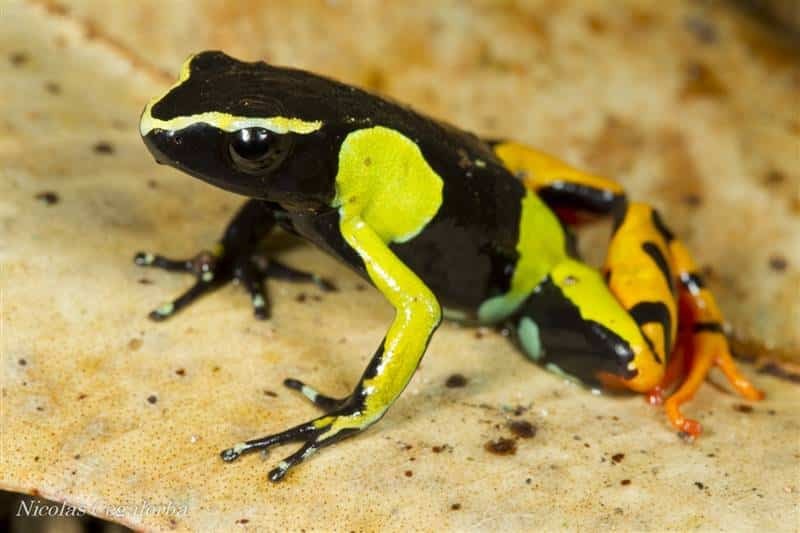 You will be able to observe some species of birds and especially the Golden Mantella (Mantella aurientiaca). Are you ready for lunch? Let’s enjoy our meal at Andasibe, before going back to the capital city in the afternoon. Antananarivo is 144km (3 to 4h) from Andasibe. Once in your hotel, relax before dinner. How about sending pictures on your Instagram account or writting to your friends and family? Once in bed, you’ll probably think of writing down your memories in your diary. Don’t worry, be happy! We are on our way to be transferred to the airport to take our flight to Diégo-Suarez (also called Antsiranana). 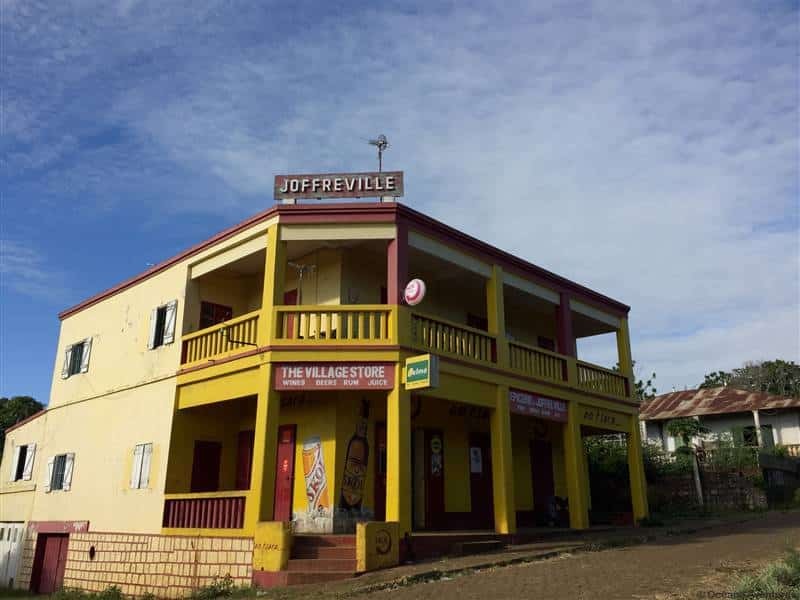 Once in Diégo, your guide will welcome you and take you for a 1 hour drive to Joffreville (30km). Take time to settle in your hotel. Refresh yourself. [Dinner and overnight stay at your hotel]. Joffreville is located at the foot of a mountain. This little town is the starting point for treks to the National Park called “La Montagne d’Ambre” or Amber Mountain. This green oasis treasures 77 endemic species of birds, 7 species of lemurs and 24 species of amphibians. Amber Mountain rock trush, Crested Ibis, Red Owl, Crested Coua, Pitta like ground Roller. How was breakfast? Today, you will be transferred up to the entrance of the amazing Amber Mountain National Park. Just enjoy strolling around, don’t think about dinner. We’re taking care of it at the hotel where you will stay overnight. This majestic forest extends over 18 000 ha! This area is the northern water tank of Madagascar where streams and waterfalls spurt out. 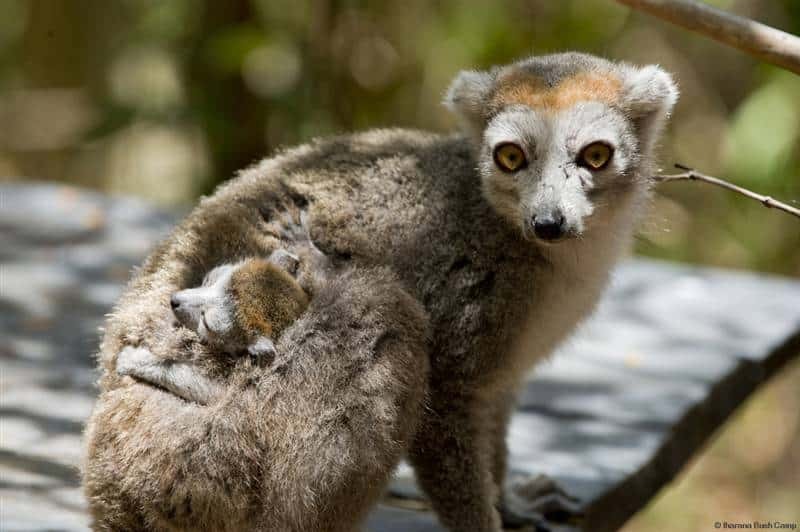 The park is home to two species of nocturnal lemurs and five diurnal species, especially the crowned lemurs or Eulemur Coronatus. 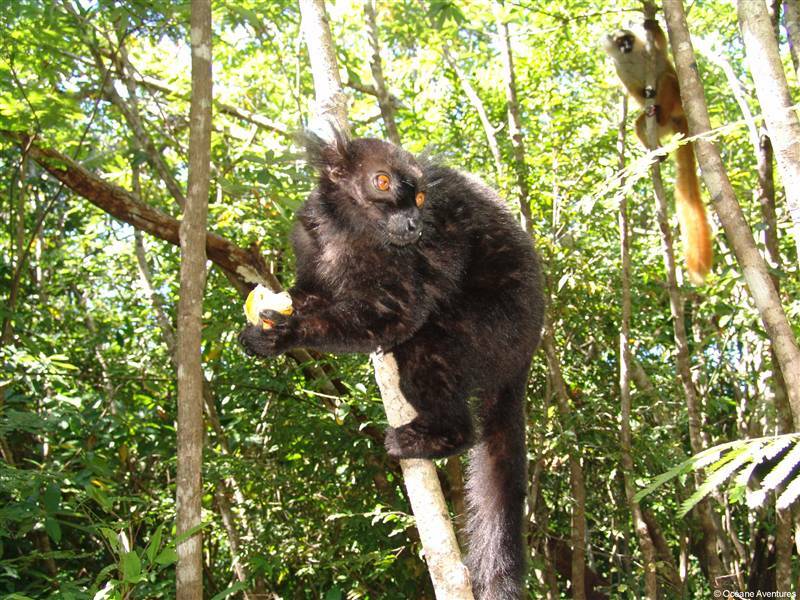 These primates live in harmony with reptiles, amphibians and endemic birds. If you are lucky (are you? ), you will see the smallest chameleon in the world, the brookesia. Montagne d’Ambre Panther Chameleon, Amber Mountain chameleon, Petter’s Chameleon, Mossy Leaftail Gecko, Brookesia antakarana, Plated Leaf Chameleon. After breakfast, we will be leaving Joffreville for a 2 hours’ drive (100km) to the Ankarana region, with the amazing opportunity to watch staggering landscape all along the way. Then, after you arrival at your bush camp, located just near a lake, we will give you time to nap and rest before dinner. You’ll also enjoy marveling at stunning Tsingy massif or exploring the camp and its surrounding (villager’s lifestyle and Mahavavy river). How your yesterdays little stroll in the surroundings? It is day 9, and you will have a full day to explore Ankarana National Park. Depending on your interest and physical conditions, several types of tours are suggested through the reliefs, dripstone caves, and natural trails. Note that you will stay at Iharana Bush Camp – Standard Room DBB – where you will have dinner and overnight stay. We’re so happy you enjoyed yesterday. This morning is another opportunity to wander around to discover the park. Then, we will drive you to Ankify where you will take the boat (45mn) to Nosy be. This island was like put apart from the world. The ocean, transparent and pure, is the most obvious part of its beauty. Its authenticity lies in the architecture of its houses, its history, its very diverse fauna and flora. Once in your room at the hotel (where you will have dinner and your overnight stay), prepare your sunscreen, hat, and sunglasses. You can now relax or swim in the turquoise water. Ready for new adventures! Bring your camera! Today, we will have a transfer by car and a traditional canoe trip to Lokobe reserve. This canoe experience is really amazing. Navigating the ocean is like having an adventure on a clear mirror. The Lokobe reserve is mostly known for its Black lemur, and the beautiful Nosy be Panther Chameleon. Just enjoy your day; as usual we will take care of the dinner at the hotel where you will stay overnight. Ouch, here goes the end of your trip in Madagascar. We’re so happy you made it. 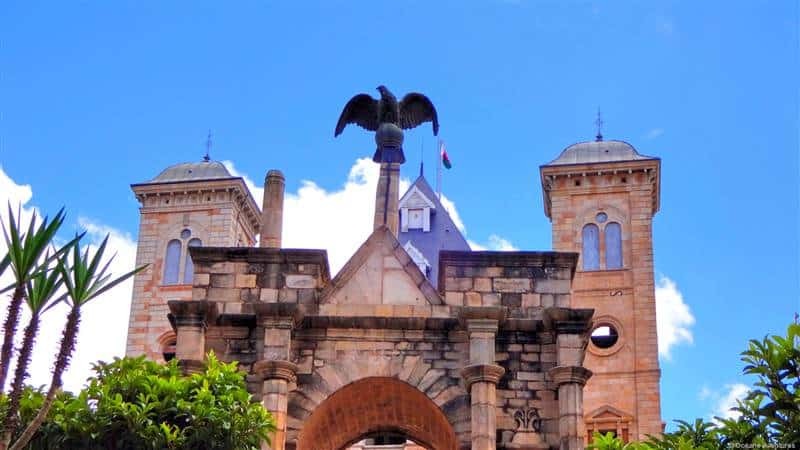 Now, depending on your schedule flight, you will have your transfer to the airport and then flight to Antananarivo. We will be there to welcome you and assist you for your connexion flight. We like to say that it’s of course better in person. By coming, you will receive even more than all that was said above. Money is valuable but time and memories aren’t, and we are here to give you as much unforgettable memories as possible. Can’t wait for you to come! The 4WD vehicle is compulsory for a tour in the northern part of the island. Moreover, it is the best means of transportation to travel through Madagascar. You want to see something different. You love animals and you prefer to see them in their natural environment. You watched the animated movie "Madagascar" and you wondered where it was (or at least, if it exists!) Well, this tour is just for you! Our trip will start at the Tsarasaotra Lake. This place is so wonderful. 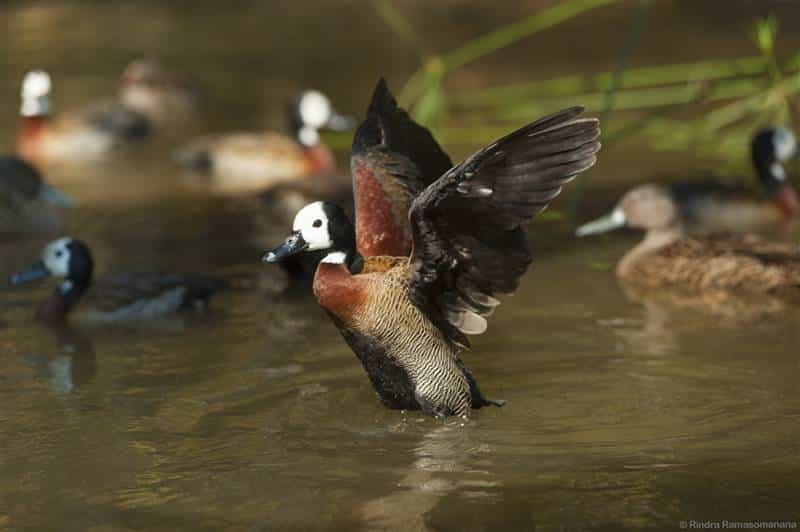 You are on your way to discover your first Malagasy birds! After this first visit, we will hit the road to go to Andasibe (Perinet) through the highlands. 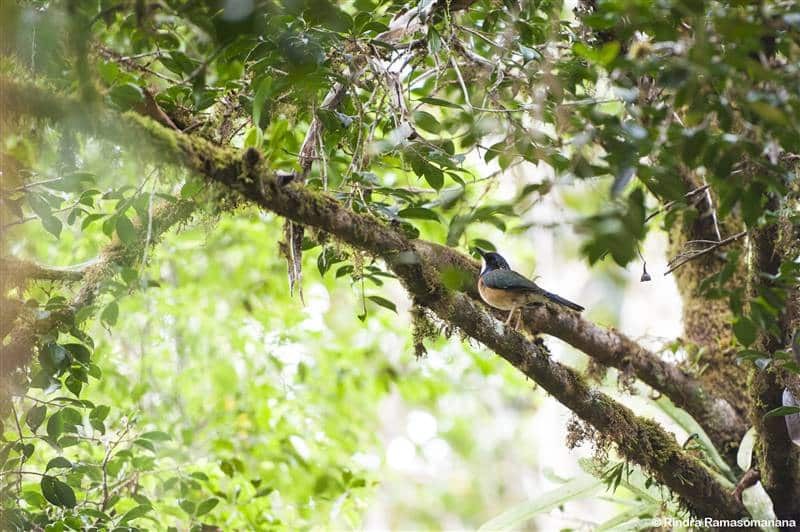 This National Park is an inescapable place to spot wildlife (lemurs and birds) in its natural environment. This is also home to the Madagascar largest lemur (Indri Indri) and many endemic bird species. Then you will get to the Amber Mountain National Park. This rainforest is known for its Pygmy Chameleon, the world smallest reptile. The crowned lemur, the Sanford’s brown lemur and the lesser bamboo lemur can also be easily watched in this park. We continue to the Tsingy of Ankarana, an breathtaking limestone massif and we will end the trip in Nosy Be. 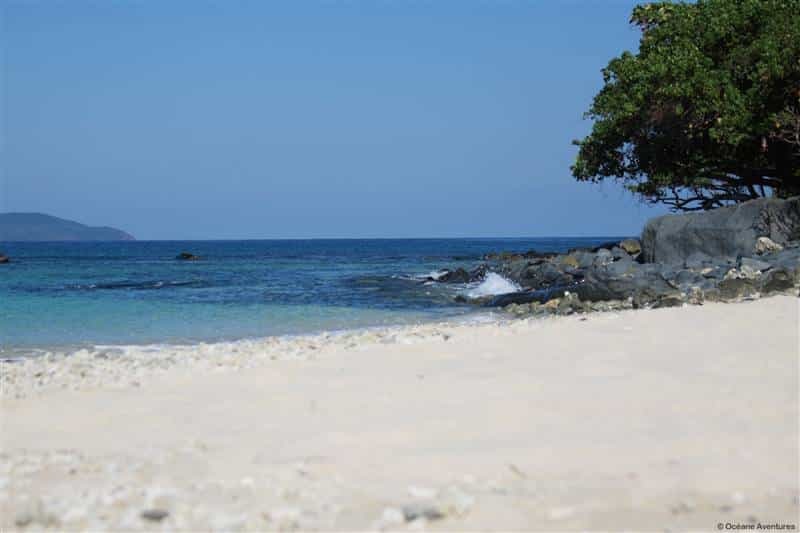 This island is well known for its transparent and pure ocean which is the most obvious part of its beauty. But you will also encounter its diverse fauna and flora. Prepare your sunscreen, hat, and sunglasses. 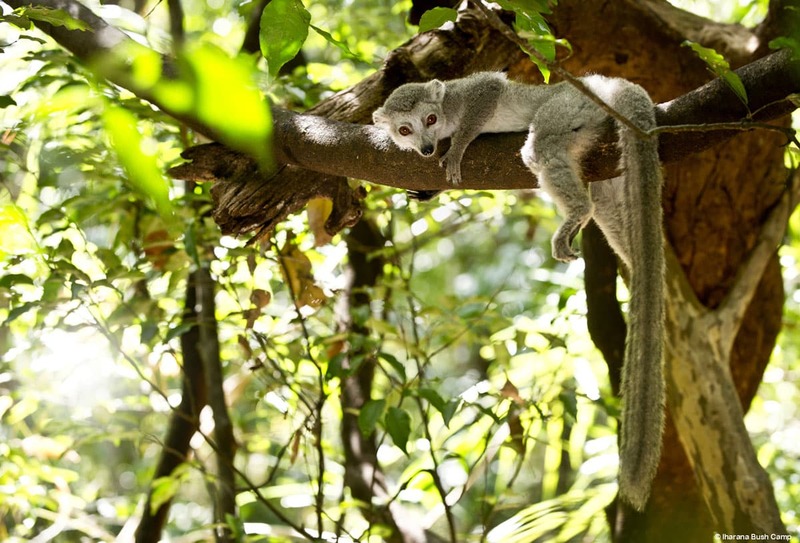 Enjoy Madagascar to its fullest: birds, lemurs, chameleons, Tsingy of Ankarana and the famous Nosy Be Island.